The last play directed by Krikor Azarian was awarded for best performance at the annual Bulgarian "IKAR" ceremony on Saturday evening. 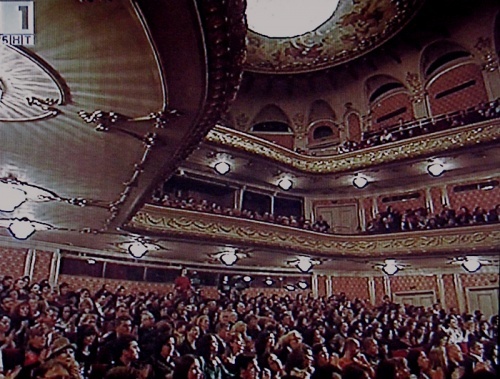 The event was held at the Ivan Vazov National Theatre, in the Bulgarian capital, Sofia. The award of the Union of Artists was for "The Cherry Orchard", by Anton Chekov. The director, Prof Azarian, was also posthumously awarded the newly established "Prize for Honor and Dignity". The prize for the most outstanding contribution to theater was received by composer Rumen Tzonev. The director Galin Stoev was similarly awarded for "Priyatnostrashno" (Pleasant-frightening) by Yana Borisova, a production by Theater 199. Stoev also won the award for the best drama script. Maria Sapundjieva was honored as best actress for her performance in the play "Molly Sweeney" by Brian Friel, which was presented at the Stefan Kirov Theatre in the town of Sliven. Best male actor was Michael Bilalov, who appeared for the first time in 20 years as Martin in "Goat, or Who is Sylvia?" by playwright Edward Albee. The Sofia Theater performance of "Four Rooms" received the award for masterful technical implementation and production design, and was shared by Denitsa Argiropoulos, Nicola Nalbantov, Eva Ventova, and Petko Tanchev.